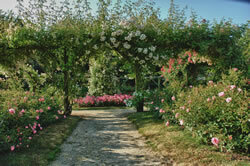 The Rose Garden comprises two areas: the first is a French garden, very structured with a pergola and a wide variety of roses, the other is of a more free design including various trees and plants. 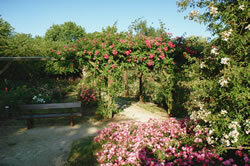 By walking along the paths, you can follow the history of the rosebush from its earliest hybrids to the modern day. 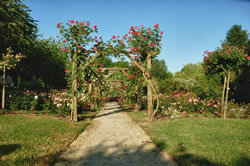 Relaxing here, especially in June when all roses are in full bloom, is a memorable event!